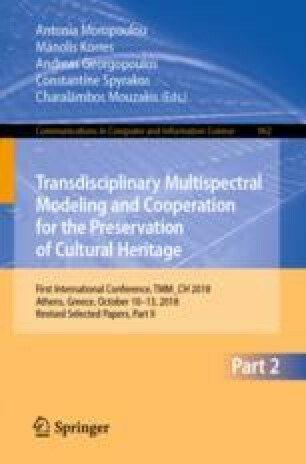 This work presents a methodology that harmonizes the modern philosophy of seismic codes with the engineering and archaeological practice of interventions on cultural heritage structures. By introducing the notion of “nominal life of intervention, ΤΔ”, and use of attenuation relationships, an easy to apply procedure is proposed that allows application of less extended interventions on monuments and satisfies both the aesthetic and archaeological criteria, provided that the nominal life of these interventions satisfies an acceptable limit. Following the proposed methodology, rehabilitation measures are designed for a specific performance level that is associated to a certain nominal life, after which the structure should be re-evaluated. Utilizing attenuation equations, it arrives at a simple to apply procedure and diagrams that can be used to evaluate and design interventions in heritage structures. The methodology could serve as a stepping stone to address the challenging task of balancing public safety with acceptable interventions on historic structures in many countries with high seismicity and rich cultural heritage. The investigation was performed as a task of the research project “Seismic Protection of Monuments and Historic Structures – SEISMO” co-financed by the Greek Ministry of Education and the European Union under the action “THALES” within the context of the Operational Programme – Education and Lifelong Learning, NSRF 2007–2013.